Energy savings from pre-engineered standing seam metal roof systems is also extending to lighting. Skylights are the main contributor to daylighting. 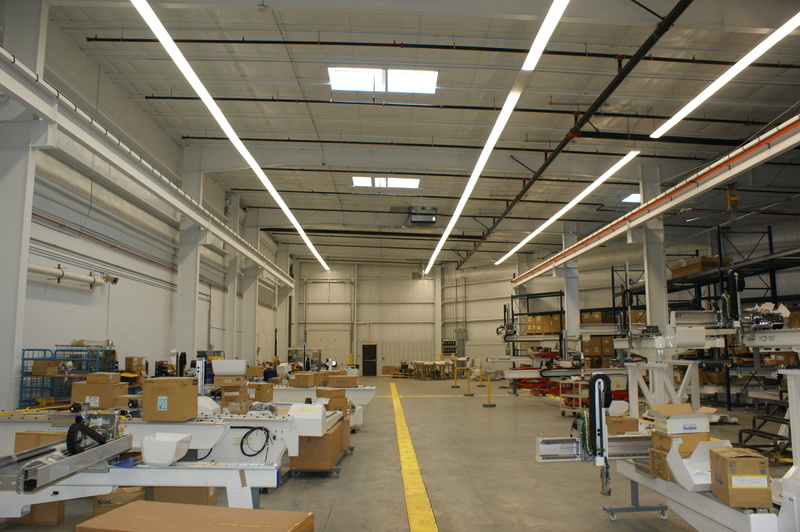 Some building owners report that daylighting alone saves 35% to 55% of annual lighting expenses. The most modern daylighting advance is the prismatic skylight as it far outperforms the original flat skylight. These domed units have prismatic embossing that collects up to three times more of the sun’s rays earlier and later in the day, when the sun angle is low. Internal prisms refract the sunlight and that transmits more light into the building, without glare, hot spots or UV damage. Prismatic skylights have shown to reduce electric lighting costs by up to 70% when integrated with lighting controls, providing a return on investment in as little as three to five years. Placed on a specialized roof curb, this design avoids the common risk of leaks around a flat skylight. The roof curb is integrated into the metal roof panel to channel water around and away from the roof curb.